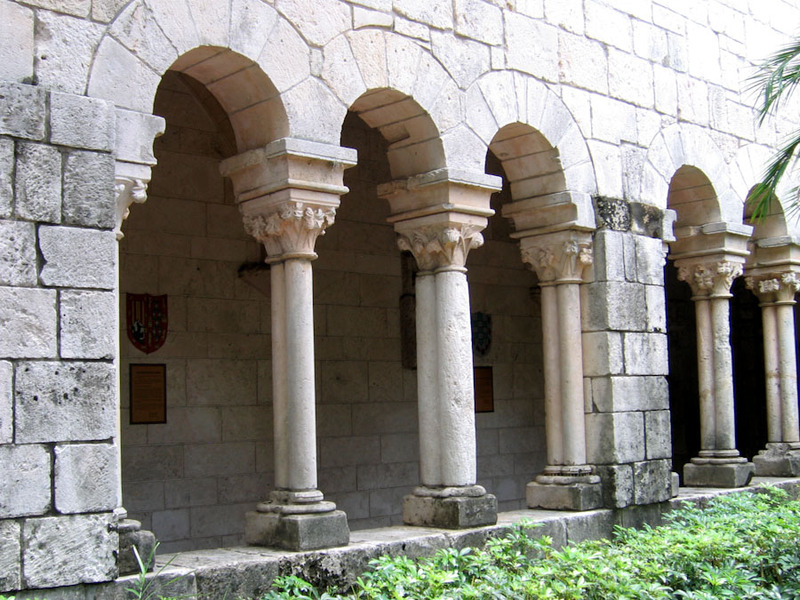 Description: View of the cloister from the courtyard. This monastery was inhabited by a Roman Catholic order of monks, called Cistercians. They were also called "white monks" because they wore white or white and black garments.